Ellijay, Ga. – Holding their special meeting on July 31 after final consolidated numbers became available, the Gilmer County Board of Education presented their 5-year-tax-history and voted on their millage rate. The 2018 Consolidated Tax Digest showed a 13% increase in real and personal property values and a 20.8% decrease in motor vehicle values. Alongside an increase in exemptions of 14.24%, the overall net increase settled at 11.48%. Gilmer County Charter School Superintendent Dr. Shanna Downs informed the board that, through these changes, their calculated rollback rate is 14.458 mill, decreasing from 2017’s 16.12 mill. Approving the 14.458 mill rollback rate and 5-year-history during their called meeting, the Board is not done with this as they will return for final approval of the 1.662 decrease as the rollback millage rate at their August 23 meeting according to Downs. Citizens wishing to speak to the board about this topic should contact Dr. Shanna Downs at the Board of Educations Administration and Technology Building (706-276-5000) to sign up to speak at the Regular Meeting or speak at the August 20 Work Session. 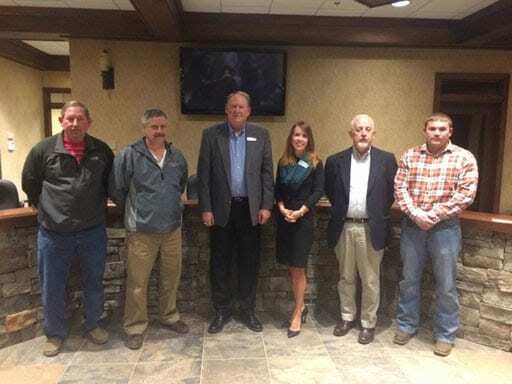 ELLIJAY, Ga. – The Gilmer County Board of Commissioners entered the year’s end awarding last-minute bids for 2018 and appointing board members and positions for the county. Awarding the 2018 Tax Anticipatory Note (TAN) produced four bids. The two lowest bids came from Southstate Bank with a variable rate currently at 1.696 percent and Regions Bank with a fixed rate at 1.93 percent. Though Southstate is currently lower, the commissioners noted the variable rate has already jumped from 1.53 percent in the first week of November. Since the commissioners are not expecting to utilize the TAN until August or September of 2018, and noting upward pressure on rates, the motion came to approve Regions Bank’s fixed rate of 1.93 percent. Along the same item, the banking services for 2018 was bid as well. Five banks offered bids with two bids being offered contingent on winning the TAN bid as well. The three left included United Community Bank with $50 monthly service charges and a 0.65 percent interest rate, Parks Sterling Bank with no monthly charges and a 0.15 percent interest rate, and Chase with its interest rate made to offset the service charges. Currently, the county is using United Community Bank. As discussion went through their work session, the board began considering the costs of transferring accounts, including ordering new checks. Making the motion for approval, Gilmer County Commission Chairman Charlie Paris stated, “Given the offer and also considering the expense of making a change, it would be my opinion that we should just continue with United Community Bank.” The motion was unanimously approved. Another bid approved during December was the emulsion bids. Originally bid with other materials previously, Gilmer County Public Works Director Jim Smith stated the county only had one bid at the time and another vendor claimed it did not receive the notification for bid. Rebidding now, Ergon Asphault Emulsions, $2.30 per gallon for CRS2L and $1.85 per gallon for CRS2H, and Hudson Materials, $2.06 per gallon for CRS2L and $1.72 per gallon for CRS2H, made offerings. As low bidder, Hudson Materials was approved for emulsion material beginning Jan. 1, 2018. The county is moving forward with a lease agreement with the Gilmer Chamber to occupy the Watkins House located downtown. The agreement will allow for the Chamber to create a downtown welcome center and display space. Although other entities are interested in the space, such as Gilmer ARTS and the historical society, both looking to display items in the building, the county is set to main lease to the Chamber while allowing them to decide on sub-leasings for space and display. The agreement is still in its early stages, but indications suggest the county will be maintaining the space while the Chamber pays for utilities. Rent would be negligible, one suggestion indicated a dollar per year. With the agreement beginning, Chairman Paris suggested the Chamber interest could see utilization of the space as early as spring. As the agreement moves forward, citizens can expect to revisit the item in coming months for approvals by the board. Cathy Green was appointed to the Northwest Georgia Region 1 Emergency Medical Services Council. ATLANTA – State Labor Commissioner Mark Butler said today that Hurricane Irma caused Georgia’s job numbers to fall and unemployment claims to rise in September. Butler noted that the state lost about 500 jobs for the month. Similarly, Georgia also saw nearly 25,000 unemployment claims filed in September. That was a modest increase from the prior month and from September 2016. A 240 percent jump for the month in the coastal region drove the statewide numbers up slightly, the commissioner said. Butler noted that even though September’s numbers were impacted by Hurricane Irma those changes were not enough to significantly affect the state’s strong performance over the past 12 months. Georgia added more than 84,000 new jobs during that time, Butler said. Further, Butler said in September the state jobless rate continued to decline. He reported the September unemployment rate was 4.5 percent, down from 4.7 percent in August. It was last that low in June 2007. The monthly rate compares favorably to last September when the rate was 5.4 percent. Butler added that employment among the state’s residents was up by 35,649 from August. That’s the largest single-month gain in at least 40 years. The labor force, which is the number of residents employed and those unemployed but actively looking for work, rose by 25,761, as the number of unemployed declined by 9,888. “It continues to be a very good year for Georgia’s economy when you look at the whole picture,” Butler said. With the monthly job loss, Georgia ended September with 4,497,200 total jobs. Jobs were up 1.9 percent from September 2016. Most of the over-the-year job growth came in professional and business services, 28,200; leisure and hospitality, 19,200; education and health services, 14,600; and trade, transportation and warehousing, 10,400. 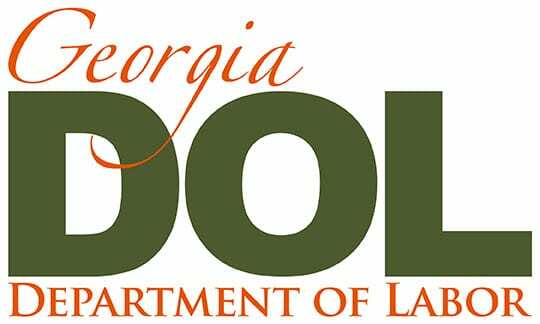 Statewide, unemployment claims were up by 3.6 percent to 24,666, due largely to temporary claims filed in manufacturing and accommodations and food services. Compared to September 2016, claims were up a modest 1.1 percent from 24,403. Employ Georgia, the GDOL’s online job listing service at employgeorgia.com showed 56,210 new active job postings in Georgia for September. A Special Called meeting for the Gilmer County Board of Commissioners turned into an impromptu Budget Discussion Friday. The so called budget discussion followed the Commissioners discussing the Millage rate and approving their advertisement for the rate. The rate which will be advertised as 6.983 mills on the Maintenance and Operations Millage and then 1.5 mills on the Bond Millage Rate. 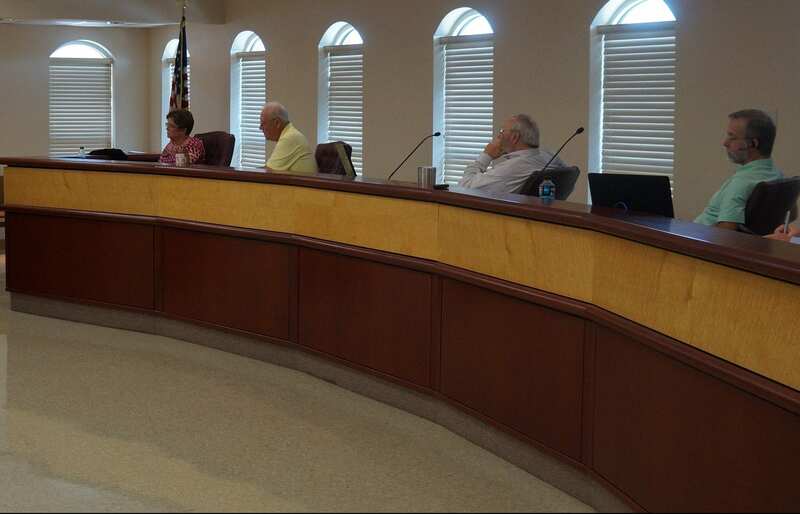 The Commissioners spent over two hours discussing different options for the Millage Rate. Ultimately, the Commissioners came down to two Scenarios. Scenario A was to accept the rollback rate which would include a slight decrease of close to $30,000 in the County’s revenues, which, according the Chairman Charlie Paris, accumulates over the last several years as the county has continually accepted rollback rates with property value increases. Scenario B was to set the M&O (Maintenance and Operations) to 6.983 mills and the Bond Millage Rate to 1.5 mills. Post 1 Commissioner Dallas Miller articulated worries over the County’s Economy and Market Values and the instability of those in the future. Post Commissioner Travis Crouch also commented saying the issue is not the budget, but the county’s many departments who are understaffed and ill-equipped. The Commissioners refused further budget cuts to employees and staff indicating that more staff cuts would eventually lead to certain services to the county being shut down. Crouch also presented his personal research to the Board about the County’s current position in the state with regards to taxation. As you see these documents, your first tab will show the county’s in alphabetical order, the second tab indicates the county’s ordered by the lowest mill rates with Gilmer at position 19 of the 159 listed counties. Scan the third tab for a population comparison and the last two tabs for Board of Education inclusion who separately set their Millage Rate. You can also follow FYN’s story of Gilmer’s Board of Education Setting their Millage Rate. As you follow the advertised increase, the Commissioner’s consulted Gilmer Tax Commissioner Rebecca Marshall when asked what this would mean to an average taxpayer. The final amount that average taxpayer will currently expect to see on their bill is an increase of $33.72 per $100,000 of Fair Market Value. The approval that came from the Commissioners on Friday will begin the process as they advertise the rates and the public meetings to discuss them. The Gilmer County Board of Education has issued their press release for the 2016 Millage Rate. Gilmer County Board of Education has made the decision to keep the 2016 millage rate at 16.62 mils which is the same as the 2015 millage rate. However since this millage rate exceeds the calculated rollback millage rate, it is deemed a tax increase for 2016. Before the Board can set a final millage rate, Georgia law requires three public hearings to be held to allow the public an opportunity to express their opinions on the increase. While this is only the beginning of the process to adjust the taxes for the set Millage Rate, the Gilmer County Board of Education is moving forward quickly through the month to hold the three public hearings for Gilmer’s Citizens. The Board went a little more in depth to explain the Millage as well as the public meetings for it. The Gilmer County Board of Education has tentatively adopted a millage rate which will require an increase in property taxes by 6.14 percent. All concerned citizens are invited to the public hearing on this tax increase to be held at Gilmer County Schools Administrative & Technology Office on August 18 at 10:00 AM and 6:15 PM. Times and places of additional public hearings on this tax increase are at Gilmer County Schools Administrative & Technology on August 25 at 5:00 PM. This tentative increase will result in a millage rate of 16.62 mills, an increase of .961 mills. Without this tentative tax increase, the millage rate will be no more than 15.659 mills. The proposed tax increase for a home with a fair market value of $150,000 is approximately $144.15 and the proposed tax increase for nonhomestead property with a fair market value of $75,000 is approximately $72.08. On the other side of the Millage Rate, follow FYN’s coverage of the Gilmer County Board of Commissioners Millage Rate.